A stocked direct thermal paper product providing high-quality, cost-effective pricing, the Honeywell Duratherm™ II label requires a visible-light scanning device for bar code applications. No ribbon is required for printing. Duratherm labels and tags have excellent readability, are durable and require no ribbon to print. Duratherm products are coated with a heat-sensitive layer which is imaged by direct contact with the printhead. The result is a pattern of black dots producing text, bar codes, or graphics. Duratherm materials offer unlimited format flexibility and high-resolution graphics. A stocked, direct thermal paper label that provides high-quality printing at a faster speed, the Honeywell Duratherm™ Lightning label requires a visible-light scanning device for bar code applications. Also available in a custom tag construction. 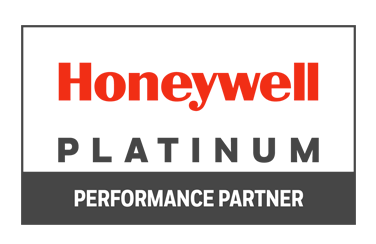 A stocked, direct thermal paper label that provides high-quality printing at faster speeds, the Honeywell Duratherm™ Lightning IR label is designed for use with visible-light or infrared (IR) scanning devices. Blood, dirt and dust will not interfere with label readability.